Without a doubt, Rachel Berry is the character with the biggest dreams to leave Lima, Ohio behind. She's the Glee Club's leader, the one that steals the show, saves the show, and keeps the show going when the curtain threatens to fall on our ragtag choir misfits. She is a self-proclaimed gold star, and we are not inclined to argue with that title at all. Rachel Berry is a force. She knows what she wants, and she knows how to get it. She latches onto goals with reckless determination, and won't stop until she sees them through to completion. And, based on the notion that she has been repeatedly discouraged with put-downs, insults, and verbal abuse, it therefore needs to be Rachel Berry that has the brightest glimmer of success awaiting her post-high school. Rachel, yet again, represents Glee both as a club and as the show’s central message, and if her last episode depicts her in any way other than standing on the brink of opportunity, with a foot on the path to success, then the point of the show is ruined. Rachel Berry is a dreamer, with the ambition and determination of someone willing to put in the hard work to make it happen. If the show doesn’t fulfill that, then they’ve missed their pro-underdog message entirely. That being said, Glee specifically and intelligently set up a second goal for Rachel’s character: that she be accepted, and feel a sense of belonging with the Glee Club. And it’s the negotiation of these two goals that cause friction in Rachel’s arc, and make us wonder what her future will be, or can be. Can the writers achieve both goals by the end of the series? Can Rachel Berry graduate with a bright future in front her, and friends on either side as she walks across the stage? We all certainly hope so. So what should we expect from Rachel Berry through the rest of Season 2 and onward? Well, it’s difficult to say for certain, but hopefully the writers will continue to keep Rachel’s characterization true to her original intent on the show - maintaining her identity, but at the same time propelling her forward through her arc. Rachel Berry is not only in the spotlight as a main character and frequent soloist, but also in that she is an isolated character subject to a substantial amount of scrutiny by critics both within the show and those watching at home. She should be moved gently out of this narrative isolation and into acceptance and belonging, as a part of something special - with as little erosion to her identity as possible. She is a fixture on Glee, a solid anchor to the show’s emotional and tonal landscape, and when Rachel’s portrayal loses its footing, the entire show - and the audience - does as well. I feel confident that by the end of the show, we will see Rachel Berry with friends, and with her dreams right in front of her - but like with many things on Glee, will we hit all the right steps along the way? "Development" is not a mainstay of the writers' efforts. If nothing else, this exploration has proven that the characterization of Rachel depends on equilibrium, between the polarities in her personality, and the ways which she is manifested onscreen as both a representation as well as within the narrative. She is a hugely important character in terms of her role on the show and in the significance that Glee has had in mainstream pop culture and as well in television history. These are very large character commitments to uphold. 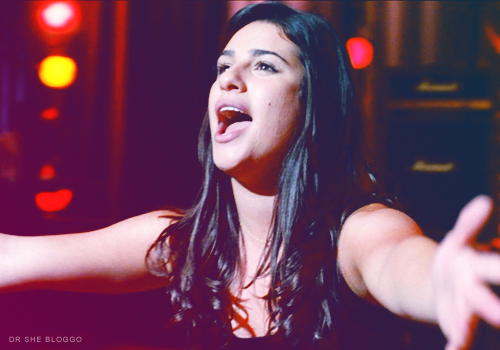 There is no Glee without Rachel Berry, and there is no Rachel Berry without the promise of dreams fulfilled. And with any luck, this is the future of our girl. this page isn't correctly linked from the glee main page.